As mentioned in our SEO predictions for 2017, voice search is becoming much more prominent in organic search. Not only is it a big feature on the latest mobile phones, devices such as the Amazon Echo and Google Home are shipping by the millions, and they’re adding another dimension to how we search. Conversational or voice search allows us to get the answers we need quickly and efficiently. For example, finding the best restaurants, cinema times and shop opening hours is now only an utter away. So why is this important to local businesses? Not only can your customers find key information about your business, it makes you discoverable to new customers too. Customers don’t necessarily need to be searching for brand terms for you to appear, for example ‘best pub in Ripon’ simply pulls in the pubs with the best reviews. This opens up new possibilities for local businesses. No longer are you just found for your brand or company name, you can be discovered for the most relevant terms that matter most. 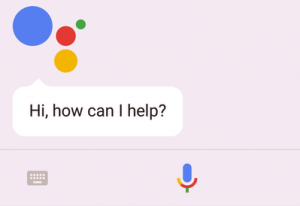 Last year Bing announced that 25% of all searches are voice searches on the Windows 10 taskbar, and ComScore suggests that by 2020, 50% of all searches will be done by voice, so the questions is, can you really afford not to cater for voice search? Rob Wilk, the VP North America for Search Sales at Microsoft Search Advertising says whilst text searches are between 1 to 3 words, voice searches have grown to be between 6 and 10 words. So how can you go about implementing this change of searching behaviour into digital strategies? This means getting your location data and structured data in place and correct. Not only ensuring your NAP (Name, address and phone number) is correct on your Google My Business listing, but also your location data across the web. The importance of citations may be argued, but ensuring your details are correct and consistent within them is essential. Moz’s Local Tool is good for finding your existing citations, and ensuring they’re correct. Once you’re happy with your location data and citations, it’s time to check your markup and microdata. If you’re not sure what’s in place already, put your location pages or relevant pages that would usually use markup, e.g. product pages, into Google’s Structured Data Testing Tool. 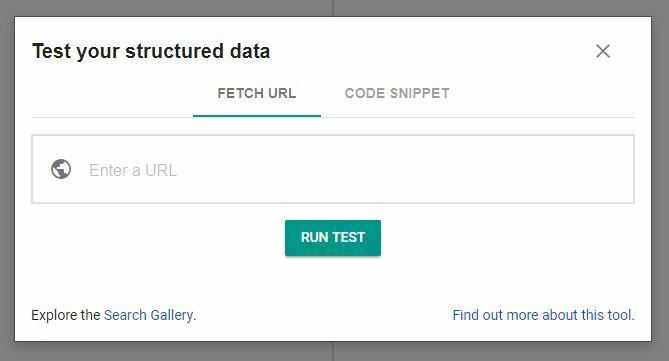 You can also take a look in Search Console – under Search Appearance in the left hand navigation, you’ll find Structured Data. Note: If you’re stuck as to what Structured Data your site should be using, check out this handy post from Whitespark, and try putting your competitors into the Structured Data Testing Tool to see what you can replicate on your own site. As conversational search is seeing, and will continue to see, a hike in query word length, your copy should be just that: conversational. Make an effort to include natural speech patterns in your website’s content so it reads naturally. As always, you’re looking to target a human audience, not a Googlebot audience, so ensure your copy considers this and is semantically sound. A really great tool for finding questions associated with keywords is keywordtool.io. Entering your main keyword and navigating to ‘questions’ gives you long tail questions often generated from voice search. The Keyword Planner is another go-to, and more question structured keywords and phrases are likely to appear here at voice search grows in popularity. Consider mobile-friendly Q and A style guides, and how that can be used to answer user queries. With this, you can soon find yourself at position 0 as Google uses your content to answer questions in its Knowledge Graph. As well as this, you’re improving brand recognition, becoming a valuable resource for potential customers. Of course, the traditional highlight of Q and A, Frequently Asked Questions content is providing customers with the answers they need before making a purchase or an enquiry, so you’re also getting an aspect of Conversion Rate Optimisation (CRO) in there, too. Take a dip into your Search Console reports on a regular basis to see how people are finding your site. From here you might just find yourself uncovering new long tail keyword targets you hadn’t considered before. Search Analytics within Search Console provides some really great insights, not just for voice search keywords, so make the most out of this great resource when possible. 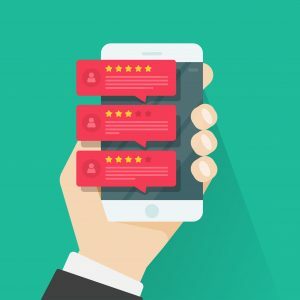 In order to be competitive in local search, you’re going to need to be backed up by solid, genuine reviews. They’re a must have and although not the easiest aspect of a local campaign, they’re perhaps the most influential when it comes to users navigating what can be a crowded market. Encourage existing customers to review when possible to build up a strong profile. It’s old news and common sense that good reviews, and plenty of them, result in a higher Click Through Rate (CTR). A recent study by Reputation Loop confirmed this with some pretty telling stats. Google makes a point of ensuring the local business tools are easy to use, so setting up your Google My Business Profile is quick and easy, and can be done here. It’s well worth allocating time to a specific local search strategy, regardless of your business size, to ensure you’re making the most out of local opportunities, pulling in as much organic traffic through your listing as possible. Need help with your local strategy? Our team of SEO experts are on hand to kick start your campaign today, Get in touch to find out more. Awesome post! I was wondering, is voice search only available in English? what other language is it applicable?